"How I went from investment banking to mindful mothering." Once upon a time I wanted to be a spy. Now I teach yoga and meditation and write about mindfulness. 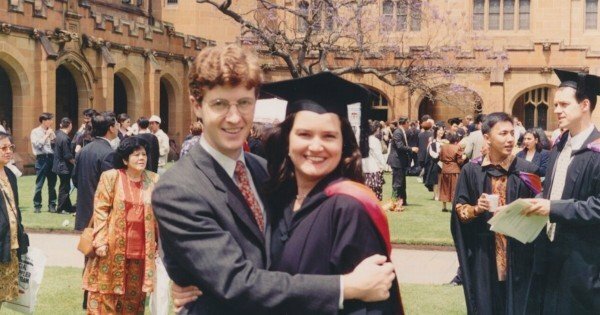 When I graduated from the University of Sydney with a Masters of International Studies, there was a spy hiring freeze in our nation’s capital. Not many people knew that I was a wannabe secret agent. I figured that not telling people you wanted to be a spy was the first furtive step in a career based on deception. Even though I had been covertly planning my life of espionage for many years, when my rejection letter came, I wasn’t disheartened. I simply decided to pursue the next-closest field. 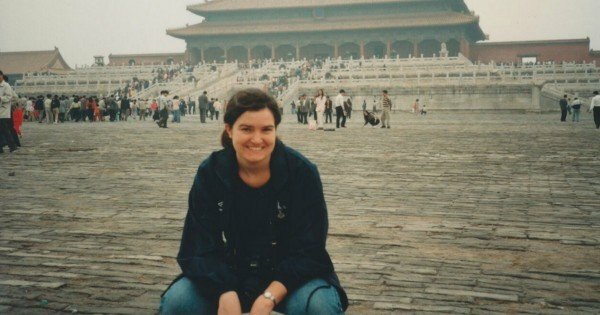 One where there was the option for overseas travel and work, where I could deal with secret cross-border transactions and one that kept alive my idealised view of diplomatic life – drinking champagne in a ball gown – Investment Banking! I lived and worked first in Singapore and then London for nearly six years in total. “Not many people knew that I was a wannabe secret agent.” Image supplied. In London, I confessed my former aspirations of being a spy one to of my colleagues. I was safely convinced by now that that career ship had sailed. He suggested that this might be a double bluff and that I was actually undercover in our Canary Wharf investment bank. Our jobs in financial services, he argued, would be perfect for espionage. Once you tell people you work in a bank but no, you can’t help them with their mortgage, there are few follow up questions. It would be an easy cover to maintain. He did have a good point. In 2002, I returned to Sydney and continued working in financial services in my area of expertise, operational risk management, this time for an insurance company. See, you don’t have any follow up questions, do you? I enjoyed my work, but I was aware that I needed something different. And funnily enough, it was the financial services that helped me find the answer. “I was safely convinced by now that that career ship had sailed.” Image supplied. One day at a work training course the question was put, “What would you do if you could do anything and pay wasn’t an issue?” After I had my first baby in 2004 I had the answer. I took the upheaval of motherhood as an opportunity to change careers. I decided to become a yoga teacher. It might sound like a stretch but I loved yoga. I really enjoyed the yoga classes that I had been attending regularly for 6 years, I had a home meditation practice and I had read lots of books and magazine articles about yoga. Also, now that I was a mother, I was looking for flexible work (pun intended). As I was about to finish my yoga teacher training, I returned for one last whirl in investment banking. I took a part-time contract role at the same bank that I had worked for in Singapore and London. They simply reactivated my old personnel number and it was as if I had never left. Everyone has different experiences of working after having a child. I enjoyed being in contact with some of my former colleagues again. I enjoyed donning my suit and heels and I loved the return to Friday night drinks. Rebecca decided to take up yoga teaching. Image supplied. The downside was that I really struggled to combine work in financial services, studying and caring for a toddler. At the end of my contract there were opportunities to extend, but I was a fully-qualified yoga teacher by then and I chose instead to launch my own yoga business. As a new yoga teacher I taught when ever I could. I practised my teaching skills on my friends and family and filled in for other teachers who had regular classes. I hired a community hall and did my own advertising. I taught yoga classes at an evening college. Finally, I had the opportunity to teach my own pre-natal yoga classes at a yoga studio. I was living the dream! In the early days of my business I immersed myself in everything yoga. I volunteered to teach pregnant and post-natal teenagers. I taught private yoga lessons in people’s homes. I taught mums and toddler yoga at an arts festival against the back drop of beautiful projection art by a local artist. I did a yoga demonstration with my daughter in a shop window at the opening of a yoga clothing store. 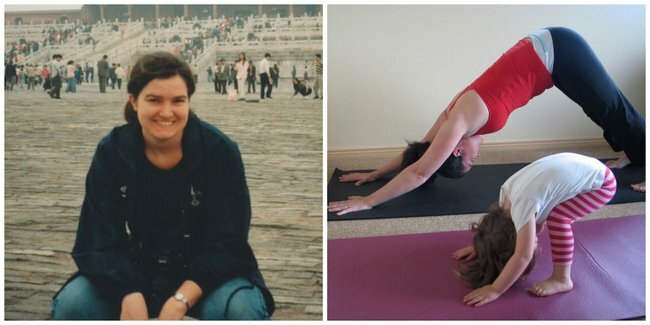 I went to children’s yoga teacher training, wrote reviews of yoga CDs and DVDs for a yoga magazine, did further pre-natal teacher training and went to all styles of classes and yoga events. I soaked it in. “In the early days of my business I immersed myself in everything yoga.” Image supplied. Inspired by the benefits of my meditation practice, which I had managed by now to adjust to suit motherhood, and encouraged by feedback from my pre-natal yoga students, I decided to write a book. I finished the first draft of Mindfulness for Mothers in 2009. Then I had a second baby! There are more than 5 years between the births of my two children. My daughter started school before my son was born. 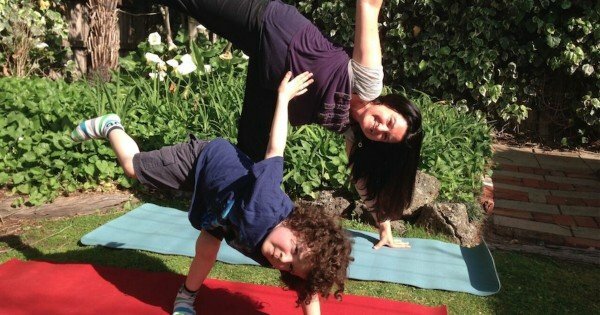 My life and yoga business underwent huge changes when baby number 2 appeared. The change from one to two children was magnified for me because the first time round I had one of those mythical ‘good sleepers.’ You hear mothers whisper about them in hushed tones so as not to jinx themselves and also not to offend other parents. To be clear: my first baby slept because of who she is, and not me or her Dad. If I had the secret to making babies sleep, I’d have written that book! No, my second child confirmed that I didn’t have any magic baby sleeping ‘mojo.’ He did this by not sleeping well for his first four years. During those non-sleep years, I learnt how to take care of myself first. The old ‘you need to fit your own oxygen mask first’ analogy that we hear so often rang true for me. 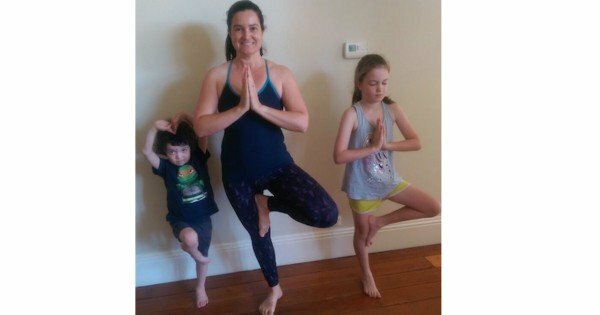 It was also during the no sleep years that we moved interstate with my husband’s work and my little yoga business took a further step back as I cared for my young children and settled us into our new home in Melbourne. I dusted off the old draft of my book to use some of my writing to start a blog. I found that I loved writing for my blog and in my spare time started a novel, as you do. Watch: Kahla from Mamamia takes a yoga class. Post continues below. It was an act of serendipity that got Mindfulness for Mothers published. I went to a weekend novel writing course. The two published authors running the course stressed that all writing, not just novel writing, counts as writing and encouraged us to write and write and write and to publish whatever we had written. They also gave us some great tips for writing a summary and selling our work. So I wrote my synopsis for Mindfulness for Mothers and author bio and sent them out in the world. When Pan Macmillan bought my manuscript and set a mothers’ day 2016 publishing date, 2015 became the year of the re-write and edit. I learnt so much from my publisher, Ingrid Ohlsson, and editor, Ariane Durkin. They both contributed to shaping and moulding my draft manuscript into a book. Their advice and insights were so valuable and taught me that publishing is a collaborative process. It is not the same book that I started all those years ago but it is truly the one that I want to share with other mothers. So that is how a would-be spy, turned investment banker retrained as a yoga teacher and came to write a book about mindfulness. Now that I see it written down, it is not such a wild tale. Maybe my path speaks of the universal appeal of mindfulness as a concept and meditation as its formal practice. It really can suit anyone, during any phase of life no matter what your back ground is. I’m proof of that. ‘Mindfulness for mothers’ is out now. 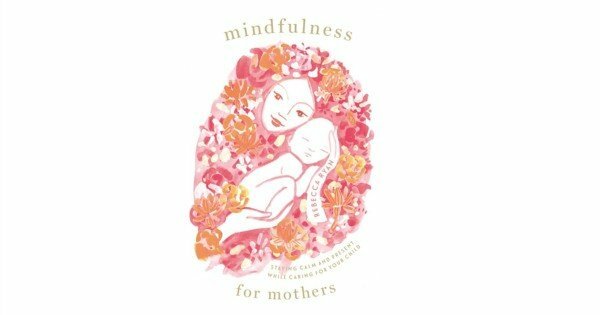 Mindfulness for Mothers by Rebecca Ryan is published by Macmillan, RRP $19.99.